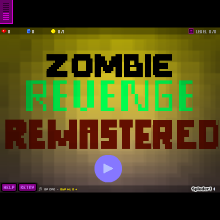 Play the first 2 levels of the upcoming game: Zombie Revenge one Remastered! If you enjoyed this, plz share with your friends. And give a thumbs up if you want Zombie Revenge 2 Remastered!